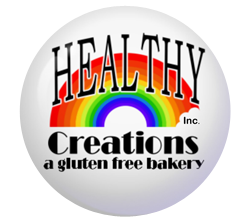 Gluten Free Bakery | Windsor, LakeshoreLondon, Ontario - Healthy Creations, Inc. Welcome to Healthy Creations! If you've been looking for gluten free baked goods with rich, delicious flavor, then look no further. 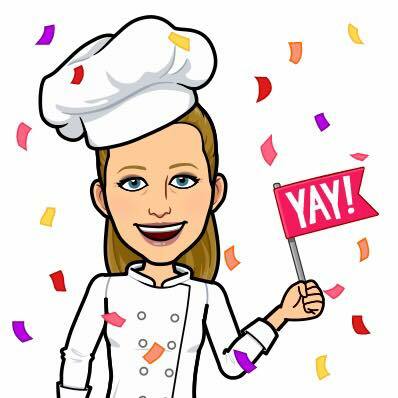 Healthy Creations bakes many products that are all gluten free and readily available for individual and wholesale customers. Most products can be altered to suit other dietary requirements with a minimum purchase. Restaurants, pizzerias, caterers, and health food suppliers can inquire with our bakers for details. 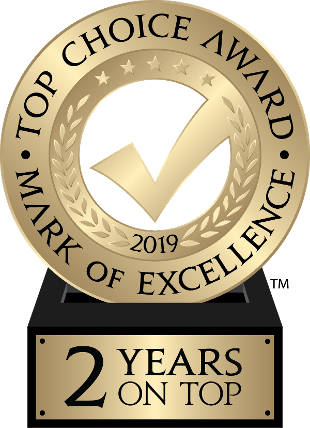 Healthy Creations Inc. is proud to announce that we won the Top Choice Award for the 2018 AND 2019 Top Bakery. Thank you to all who voted for us! Winning the Top Choice Award is one of the largest endorsements a business can receive within North America, so this is a BIG deal! We are truly honoured to win this highly coveted award again and we want to continue to serve you every day and provide the best customer experience possible. Thank you for believing in us and making us the Top Choice. Our cusrtomers are the real Top Choice!!! Our mission is to provide fresh, quality, gluten free products that taste like homemade and are created with minimal ingredients. Learn More About Healthy Creations Inc. Thank you for your interest. For questions or comments, please use the information listed here. We look forward to hearing from you soon. Inquiries, please specify location.